L-R: Fred Gardner, Adrian Wagner and Jeff Boult in Adrian's studio. It is with sadness that we note the passing of British electronic composer, entrepreneur and inventor Adrian Wagner, who co-created the Wasp synthesizer. 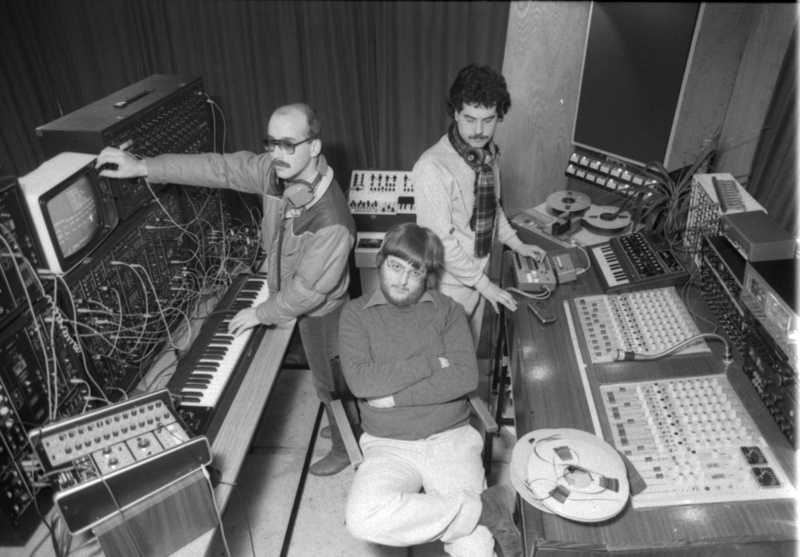 The great-great-grandson of German composer Richard Wagner, Adrian wrote and released many musical works of his own, collaborated with the Radiophonic Workshop and even penned the theme tune to the Trans World Sport television show. However, it was the low-cost yellow and black synthesizer, developed with synth designer Chris Huggett (of OSCar and Novation fame) that really cements his name in the music production hall of fame. In an age of VCOs, the Wasp’s inventive DCOs kept their tuning remarkably well, and its use of capacitive keyboard strips rather than a regular keyboard was quite unusual. Its key selling point was the price, though. At only £200 upon its release in 1977, it was substantially less than anything from Moog, Oberheim, or Roland. Wagner went on to produce entomologically themed devices such as the Gnat single-voice synth, Spider sequencer, the Caterpillar keyboard, the Wasp Deluxe and more. After leaving the world of synth making, Wagner moved to Wales and continued to release music on his Mediaquest label, and pursued his other passions of photography and painting. His contribution to the world of electronic music cannot be underestimated — conceiving of and bringing to market a synthesizer that was truly affordable was no mean feat. Also, the gritty, dirty sounds of which it was capable made it a go-to for those eschewing the prog-rock aesthetic of the late ‘70s, gaining notable users over the years such as Vince Clarke, Chris Carter of Throbbing Gristle, 808 State, Will Gregory and more. Adrian passed away on 22nd June, 2018. He is survived by his wife Helen and stepchildren Stephen and Emma.